Tickets are $20 each (no limit). 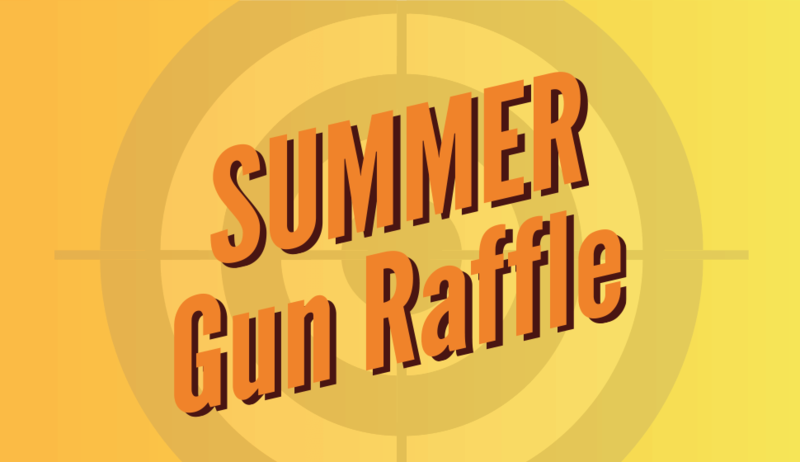 Each ticket purchased enters you into both the Summer Gun Raffle and the Grand Prize Drawing. Summer Gun Raffle Drawing to be held at the Local 139 Family Picnic beginning at 1 p.m., Saturday, July 20, 2019, at the Wisconsin Operating Engineers Training Center, W11584 Highway 21, Coloma, WI 54930. You need not be present to win. The odds of winning are determined by the number of entries. All prizes made in America. Trip includes round trip airfare for two to Las Vegas, three nights hotel accommodations and two tickets for two days to CONEXPO. CONEXPO-CON/AGG is North America’s largest trade show for the construction industry. The show is once every three years, so mark your calendars now for March 10-14, 2020! Grand Prize Drawing to be held at the Local 139 General Membership meeting beginning at 10 a.m. Saturday, January 11, 2020, at the Madison Hall, 4702 S. Biltmore Lane. You need not be present to win. Odds of winning the Grand Prize Drawing will be determined by the number of entries submitted through the 2019 Summer Drawing and the 2020 Holiday Drawing. Local 139 International Union of Operating Engineers is an unincorporated association exempt from taxation under federal and state laws. The Summer Drawing is being conducted by Local 139 to raise money for the Local 139 Political Action Committee State Conduit Fund, which supports the political agenda of Local 139 and its members. 1. The drawing will be held at the Local 139 active and retired membership family picnic beginning at 1:00 p.m. on Saturday, July 20, 2019 at Joseph J. Goetz Wisconsin Operating Engineers Training Center, W11584 State Road 21, Coloma, Wisconsin 54930. It is not necessary to be present to win. 2. The purchase price is $20 per ticket. No part of the purchase price is deductible as a charitable contribution. If an entrant’s payment is not honored by the bank, the entry will be declared invalid, and the entrant shall not have a chance to win a prize. 3. In order to be eligible, purchaser must legibly complete all requested information on the ticket. Further, completed entries must be delivered and in the possession of Local 139 by 12:59 p.m. on the date of the drawing, July 20, 2019. 4. Ticket purchasers must be 18 years of age or older and must be Local 139 members in good standing in order to claim a prize. 5. All full-time employees of Local 139, its affiliated fringe benefit funds, and their immediate family members are not eligible to enter, participate, win or claim a prize with respect to the drawing. 6. All entries require purchase of tickets and shall be entitled to one entry per ticket purchased. Tickets must be purchased in person at the picnic or at Local 139 District Offices during regular business hours, or at officially scheduled Local 139 meetings or directly from an agent of Local 139 authorized to sell tickets. Local 139 members may purchase as many tickets as they like. July 2019 or at the family picnic prior to 12:00 p.m. Gold Card Summer Special tickets not picked up will be forfeited. The free ticket must be completed and submitted by the Gold Card Member to Local 139 no later than 12:59 p.m. on July 20, 2019 to be included in the drawing. 8. Five (5) random drawings will be held and one (1) prize shall be awarded per drawing. Prize No. 5: Matthews Mission Charge crossbow with scope, quiver, three bolts and case. All prizes are made in America. 10. 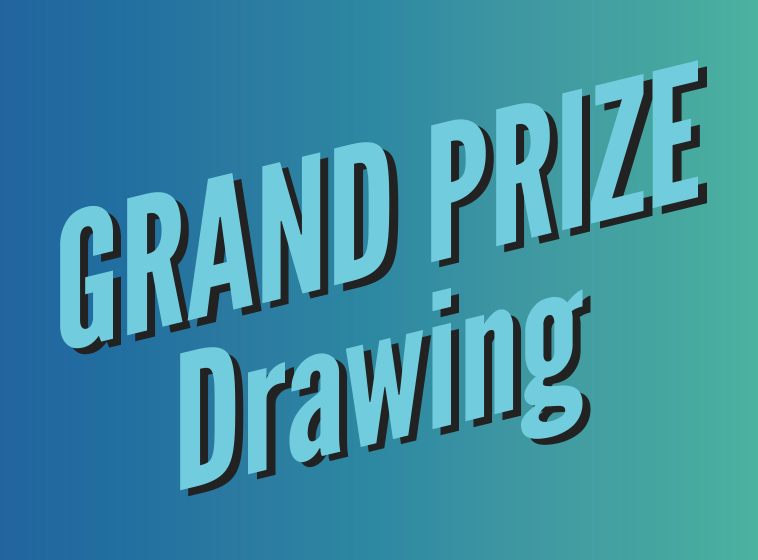 *** NEW GRAND PRIZE DRAWING *** Each Summer Drawing raffle ticket shall also include a single entry into the GRAND PRIZE DRAWING for the Grand Prize of two (2) General Attendee Badges passes to the 2020 CONEXPO, March 10-14, 2020 in Las Vegas, Nevada. In addition to the two (2) badges, the winner will receive two (2) round trip business class airline tickets from Milwaukee, Wisconsin to Las Vegas, Nevada and three (3) nights hotel accommodations (single room, double occupancy). The Grand Prize Drawing will occur on January 11, 2020 at the District B General Membership meeting in Madison, Wisconsin. Odds of winning the Grand Prize Drawing will be determined by the number of entries submitted through the 2019 Summer Drawing and the 2020 Holiday Drawing. 11. Only Local 139 member(s) in good standing at the time he/she claims a prize voucher will be entitled to be awarded the prize voucher. Local 139 will notify winners of their selection within fourteen (14) days of the date of the drawing, and verify the eligibility of each winner to claim a prize voucher. 12. Within thirty (30) days of being notified that they have been awarded a prize, winner(s) shall pick up their prize voucher at Local 139’s Madison office or otherwise make arrangements with Local 139 to have the voucher delivered to them. Prize vouchers unclaimed for more than 30 days after notification or claimed by a winner who is determined to be ineligible to be awarded a prize voucher shall be forfeited, and no additional drawing(s) will be held. 13. Local 139 shall have no obligation to deliver a prize to any winner. Prize vouchers for Prizes No. 1 through No. 4 must be redeemed in person at Koby’s Firearms W4230 State Road 23, Montello, WI 53949, (608) 566-9534 for the specific prize designated by said voucher. Prize voucher for Prize No. 5 must be redeemed in person at Advanced Archery, 320 W. Main St., Hilbert, WI 54129, (920) 853-3131. Winners must comply with and satisfy any and all Federal and/or State requirement(s) to legally obtain, own, possess and/or acquire said firearm. Prizes may not be substituted. Winners shall be responsible for any and all costs and/or fees associated with pick up, transportation, licensing, registration and/or receipt related to obtaining, owning and/or registering of said firearm. 14. 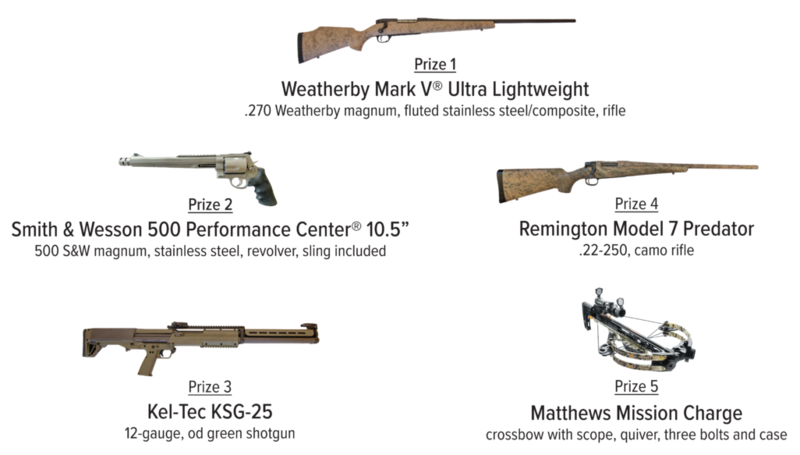 Winners who fail to redeem their prize voucher by January 31, 2020 or who fail to comply and/or satisfy any and/or all federal and/or state requirements(s) to legally obtain, own, possess and/or acquire said firearm shall forfeit their prize and no substitute prize(s) or additional drawing(s) will be awarded or held. 15. Winners shall be responsible for any and all federal, state and local taxes, fees, assessments and like charges due in conjunction with acquiring a prize, if any. Winners are advised to consult his or her own tax professional to determine the extent of any such obligations. 16. Winners agree that they are receiving the awarded prize in “as is” condition and Local 139 makes no warranties and expressly disclaims any warranties included, but not limited to any expressed or implied warranties with respect to the condition, fitness and/or merchantability regarding any prize. 17. A list of the winners will be posted at the Local 139 offices and on its website. By accepting a prize voucher, winners agree to permit Local 139 to use his or her name and to take and use a photograph for promotional purposes. A copy of the list of winners may be obtained by sending a self-addressed, stamped envelope to: Local 139, Attn: Raffle Notification, N27W23233 Roundy Drive, P.O. Box 130, Pewaukee, WI 53072. 18. The odds of winning are determined by the number of entries. 19. Each Drawing is subject to these Official Rules, which may not be changed by any oral or written statement by any employee or agent of Local 139. All decisions of Local 139 shall be final on all matters concerning the Drawing. Entrants agree that Local 139 shall have no obligation or liability to them except to award the prize vouchers in the manner set forth in these Official Rules. 20. All proceeds, less costs and expenses, will benefit the Local 139 PAC State Conduit Fund. Raffle License No. R0028594A-62153.